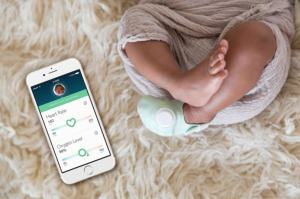 Owlet is a company that designs and manufactures baby monitors which use hospital technology to alert you of your baby’s breathing patterns throughout the night. With these devices silently watching over your little one all night, you can sleep peacefully and without any worries. With Big Apple Buddy’s personal shopping service, you can now buy direct from the Owlet online store anytime, anywhere. The Infant Heart Rate and Oxygen Monitor uses the same technology that hospitals use, pulse oximetry, to keep you healthy and safe. This monitor provides you with the necessary technology to ensure your baby stays healthy throughout the night and notifies you immediately if your baby stops breathing. 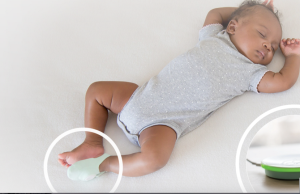 The wireless Smart Sock fits snug onto your baby’s foot and monitors their heart rate and oxygen levels throughout the night while they sleep. The device is designed to notify you if your baby’s heart rate drops too low, rises too high, or if their oxygen levels drop below a preset threshold. You can use your smartphone to track your baby’s heart rate and oxygen levels, but no need to worry if your phone dies. The Base Station acts independently of WiFi and will still notify you of any potentially harmful changes in your child’s condition. Unfortunately, the USA Owlet online store does not currently offer international shipping. However, Big Apple Buddy, your personal shopper, can help you buy products direct from the official USA Owlet online store and ship them to your doorstep, no matter where you are in the world. We offer international shipping to over 110 countries including Australia, Austria, Azerbaijan, Bahrain, Belgium, British Virgin Islands, Brunei, Bulgaria, Canada, Chile, Costa Rica, Croatia, Czech Republic, Denmark, Estonia, Fiji, Finland, France, French Polynesia, Germany, Gibraltar, Greece, Greenland, Hong Kong, Hungary, Iceland, Indonesia, Ireland, Israel, Italy, Japan, Jordan, Kuwait, Latvia, Liechtenstein, Lithuania, Luxembourg, Macau, Malaysia, Maldives, Malta, Marshall Islands, Mauritius, Monaco, the Netherlands, Netherland Antilles, New Zealand, Norway, Oman, Poland, Qatar, Romania, San Marino, Saudi Arabia, Serbia and Montenegro, Seychelles, Singapore, Slovak Republic, Slovenia, Spain, South Africa, St. Lucia, Sweden, Switzerland, Taiwan, Thailand, the UAE, the UK, Vatican City, and Vietnam. If you would like to buy from the USA Owlet online store, simply let us know which items you would like to order (by filling out the form below) and we’ll get back to you with a free international shipping quote within 24 hours!